When you visit a website, instead of delivering their information in the form of simply writings, they present them in graphics, hence the name infographics. It’s basically about visualizing your data, isn’t that cool? So that more right brainer can easily access and understand your info. This is applicable for both B2B and B2C industries, as part of their content marketing. More satisfied customers – simplicity of the method used in delivering information. increase in engagement with audiences. (taken from Marketing Tech Blog). 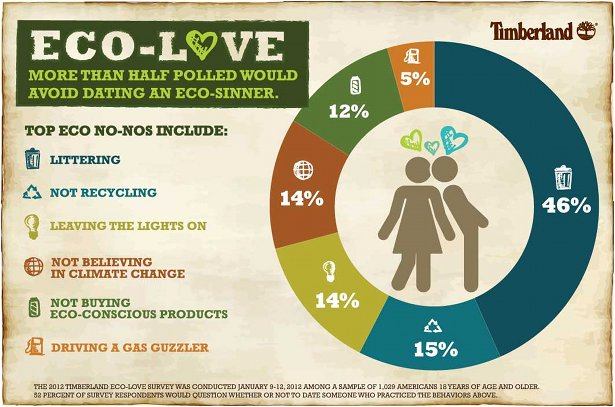 Up to a B2C firm called Timberland delivering information in regards to their concern towards the environment. So basically, any kind of information can be communicated in the form of infographics. That explains the rise of this trend, as it is applicable in every organisation. To even simplify the process, there are firms (online) that specially cater to the needs of instant and simple infographics creation. They provide the templates with an approximate cost of $12 each, and we can add information as we want to. Cool huh? 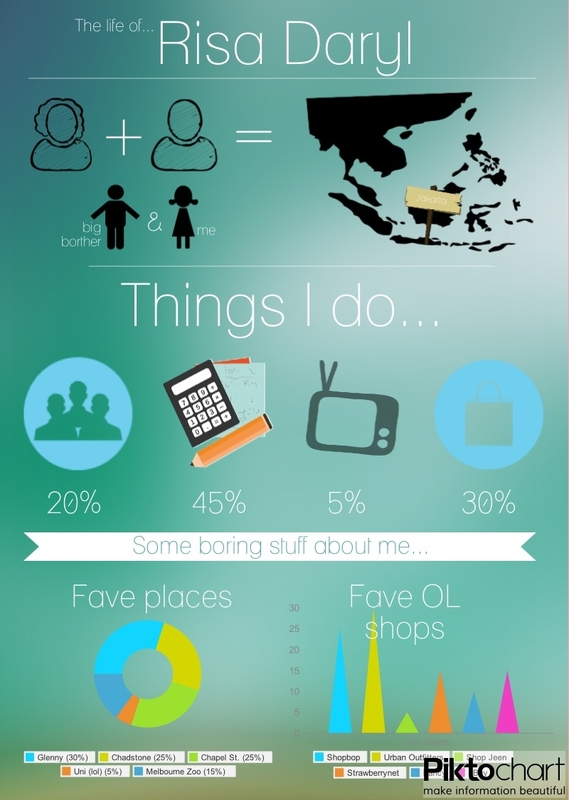 And… here’s my infographic :), I used Piktochart, for free of course. Yay or nay? I love infographics! I have designed a couple of infographics and they’re actually harder to create than you think… I worked at a technology association that helped startups and we always had to update our infographic every month. These featured # of startups helped, amount of revenue generated, # of meetings with clients, and more! It was pretty cool working with figures and numbers and I always felt good seeing the numbers grow! So actually producing my own inforgraphics actually have forced me to love ’em! 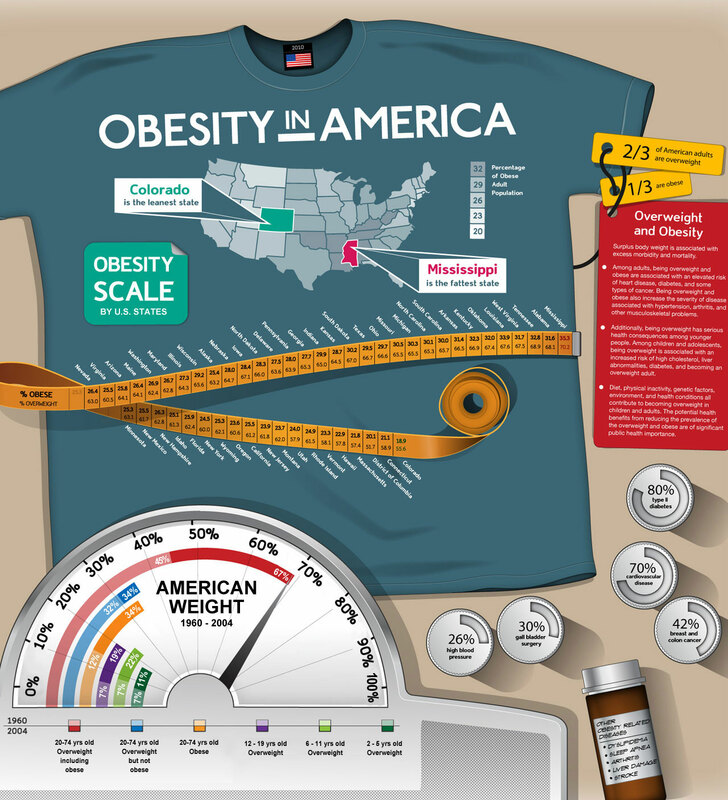 to be honest, what’s not to love about infographics? Ppl like us might get easily bored with chunks of info. But with infographics, we can skim through with our brain actually capturing the figures hence the info. Yes, i remembered from a tutor at uni saying that, when we’re looking for jobs, it’s about marketing ourselves. Then infographics comes along lol. Have u ever seen a website using infographics? Particular brands? Infographics are great. They are easier to understand with the aid of visuals. It makes us more willing to read the content. Infographics are pretty cool stuffs as it makes the reader understand much easier. It contains much lesser words and straight to the point. Hopefully new research articles will made out of infographics LOL. Hha true! So when we do research papers, it will all be made easier lol. But still, the amount of appropriate infographics presented by a firm, its content, length, etc. has to be appropriate. Bcos not everyone is a right brainer :). I really love infographic, it is simplistic and visual give people ease of understand. I can see that infographic will be a big hit in years to come as a source of good marketing strategy! yes, it’s about how creative we can get with the things we do. Especially in this super competitive environment.